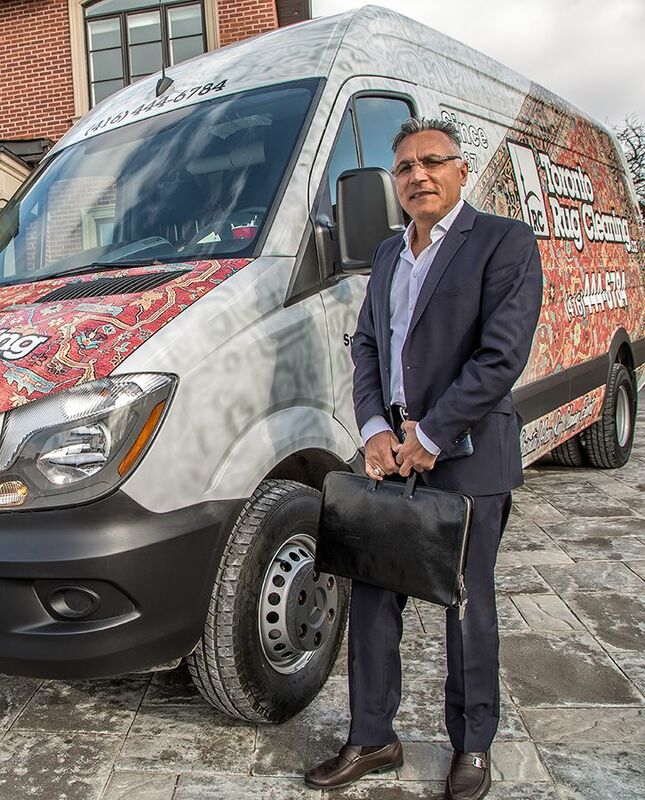 We are the largest and most experienced rug and carpet cleaning company serving the greater Toronto area for more than 30 years. With use of our experience, knowledge and advanced techniques applied to our customer's goods, we have been able to provide our client’s with guaranteed 100% satisfaction and we are proud to have received 5 star reviews by our clients. We specialize in cleaning, repair and restoration of all types of rugs including: wool, silk, persian, viscose, bamboo & banana silk, oriental, modern European tapestries and area carpets. With help of using our environmentally responsible cleaning techniques, we have cleaned over 650,000 and repaired over 150,000 rugs and carpets since the inception of the company in 1987. Cleaning your hand made carpet or area rug at home is harmful to your rugs and health, that’s why our state of the art facility and highly trained, certified staff allows us to satisfy all your cleaning and restoration needs for any design, material and type of carpet or rug with the highest standards in quality. We offer free in home estimates and provide you with a complementary replacement rug for the duration your rug is processed for cleaning or repair. We will pick up, deliver, roll and relay free of charge. And For your convenience, we offer evening and weekend appointments. For any inquiries or to schedule an appointment please visit our Contact Us, we look forward to serving you. "Your complete satisfaction with services we provide is our absolute guarantee."